Amcha Ghar is an Indian foundation which exists since 1996. It consists of two parts: orphanage and a set of schools. We have supported Amcha Ghar since 2013. 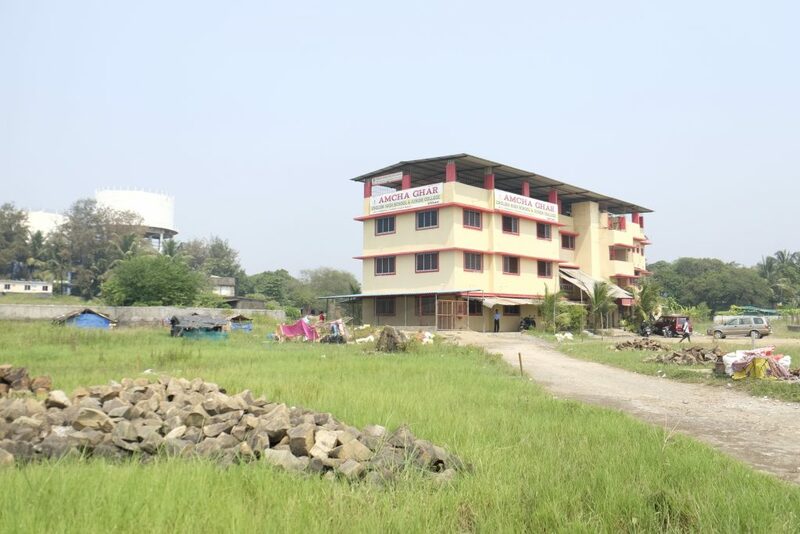 The Amcha Ghar school in Uttan (800 children) is the biggest school and it is in the process of becoming a junior college. Once this happens, children will be able to study there until the age of 18 (instead of 16). All lessons in Amcha Ghar are in English which ensures the children get international education, therefore more opportunities. We believe that changes in communities start from within. We chose them as partners because they are part of the community and they trully value the children. Such connection would have been difficult with external organization. 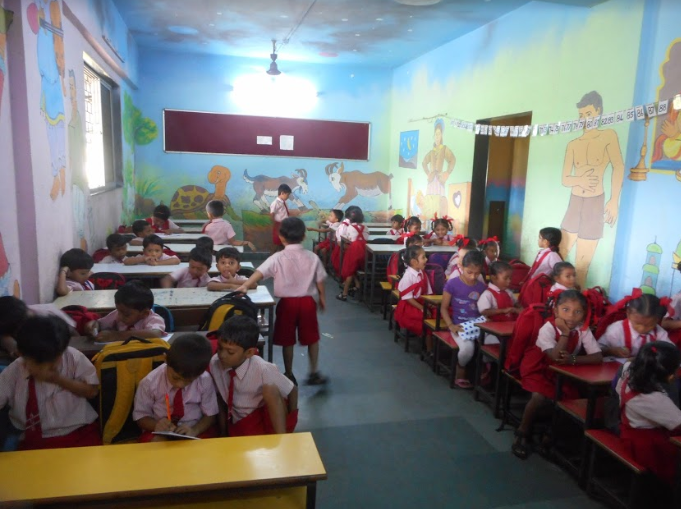 Our goal – creating safe, educational, and clean environment for the children – unites us with Amcha Ghar. Providing children with thriving environment gives them chance to take control of their lives instead of being victims to harsh circumstances. Stichting DICE and Amcha Ghar have established strong trust. The teachers at the school are very dedicated and reasonable, and know what is needed and has to be improved in the children’s environment. There have been many improvements in the school – computer room, physics and chemisty rooms, gym. The teachers invested in a water pump to provide clean water. Currently, they want to invest in a school bus which would ease the access to school for the children. What is more beautiful than the gift of education? We believe in the power of education and with our new scholarship project we offer girls the opportunity to pursue education in a very disadvantaged environment. We have started this project with Stichting Schoolproject Vietnam and the focus is on providing scholarships for girls from the Black Hmong ethnic minority in Vietnam. Black Hmong are one of the poorest minorities in Vietnam. 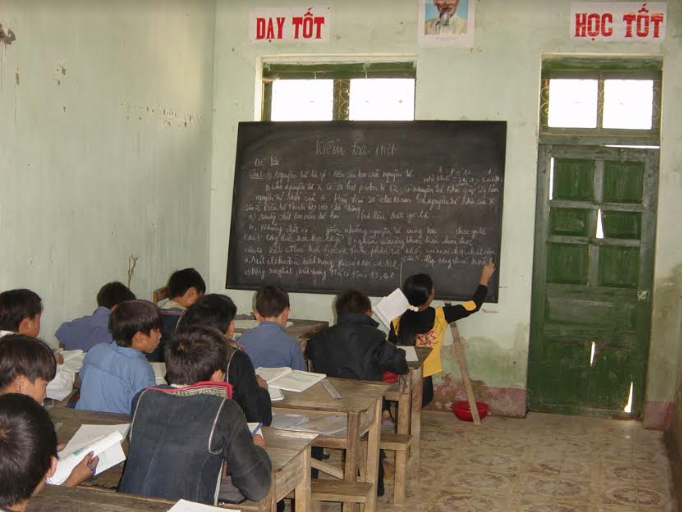 There is a school in the village of Sapa, where they live, but money are often not enough for the parents to provide education for their children. Stichting DICE and Schoolproject Vietnam make education possible by providing scholarships. Secondary education lasts for 4 years. 15 euros per month are enough to provide food, clothes and books. Currently, Stichting DICE supports 5 girls. You can choose different approaches to provide the scholarship regarding duration. Stichting DICE transfers the money to Schoolproject Vietnam every 3 months. Below, you can read the story of Rien, one of the founders of Stichting Schoolproject Vietnam. About 15 years ago my wife and I travelled to Vietnam with some friends. We enjoy travelling and have visited many countries across the world. We stayed in Vietnam for several weeks and travelled from the south to the north. At that time some areas were still prohibited for tourists. After a gorgeous and adventurous trip we eventually ended up in Sapa in the North-West of Vietnam. Sapa is a small city, more or less a big village, situated at about 1500m, it is well known for its beautiful surroundings including mountains and valleys. 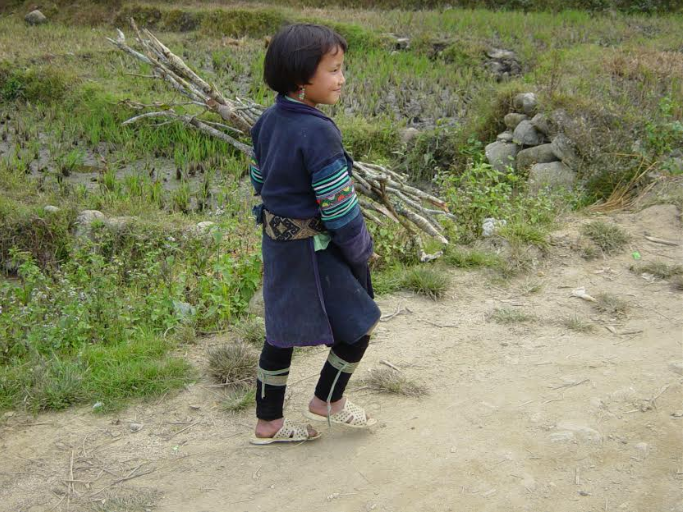 A few hill tribes live in Sapa, but the most important people are the Black Hmong Tribe. We reached out to a local guide (15), who is part of the Black Hmong Tribe, in order to get in touch with the local people. She led us into the valley by foot. We got the opportunity to see up close how the Black Hmong live and we took the chance to take pictures where we could. When we arrived back in the Netherlands we decided to print some of the pictures and send them to the Black Hmong in a letter. Email was not yet a possibility at that time.After quite some time we received a response from our guide who had asked help to write to us in English. She asked for our advice as one of the Black Hmong girls (15) faced an arranged marriage with a family member. This is not an uncommon situation in the local culture but this particular girl was in despair. After consulting with my family, I decided to return to Vietnam and luckily reached an agreement to stop the marriage. 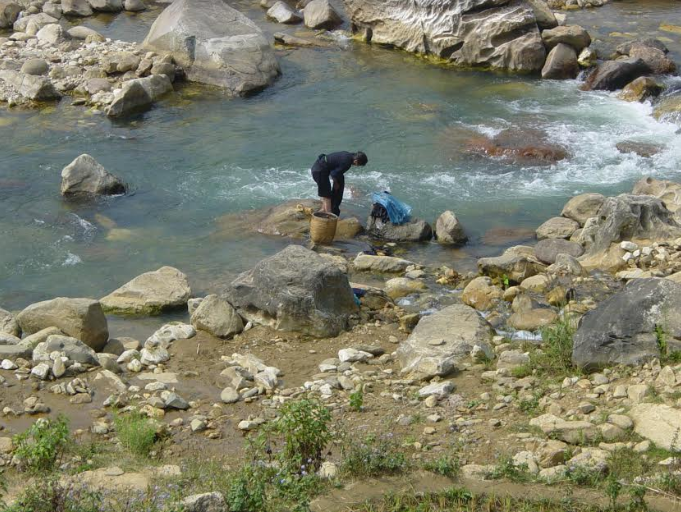 During this time I learned a lot about the daily life of the Black Hmong and their traditions. 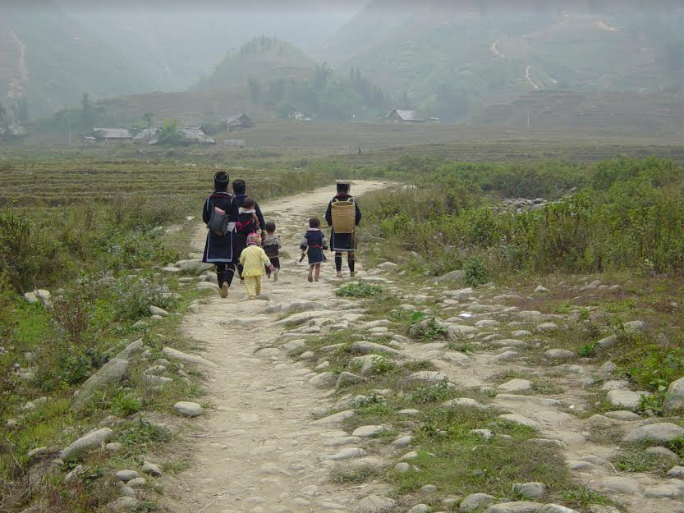 Most of the Black Hmong live in poverty, have low life expectations, live in large families and most children, especially girls, do not attend any form of education. Girls in general have less opportunities in life compared to boys. I had seen similar situations in other countries but in those cases the trip continued and we forgot about what we had seen. Because of the poverty we had seen in Vietnam we, decided to support the Black Hmong using our local contacts. We started off by raising money with our friends and family but a few years later we founded the Foundation Schoolproject Vietnam. It is our goal to help more Black Hmong girls to attend education as this is an important aspect for their personal development. Furthermore we have helped improve the daycare facilities, the primary school as well as the local high school. We are currently focussed on supporting Black Hmong girls motivated to attend higher education. Our local contact and our Vietnamese friends in Hanoi help out with this project and I try to visit Vietnam every year to meet our contacts, friends, teachers and the girls we sponsor. And finally, as much appreciated, we started a cooperation with foundation DICE a few years ago who now financially support us and thereby the Black Hmong.